Kenya Airways (KQ) has reduced the number of direct flights on the newly launched New York route from the current seven to five a week effective January 15, 2019. The five flights will be on Tuesday, Thursday, Friday, Saturday and Sunday every week, according to statement from the carrier. “Kenya Airways has today announced that it is adjusting the schedule for its Nairobi – New York route to 5 flights in a week effective 15th January 2019. Currently, the airline is flying this route daily,” read the statement in part. Kahawa Tungu learns that this is just the beginning as executives plan to cut the number of flights to three. Despite turbulence and questions lingering on the viability of the route launched in October, KQ has held that direct flights are there to stay, and downplayed reports that the route was not making good returns. “As the only airline that offers a non-stop flight between East Africa and the USA, this route remains significant to us because of the role it plays in opening more economic and tourism growth opportunities for Kenya and East Africa. 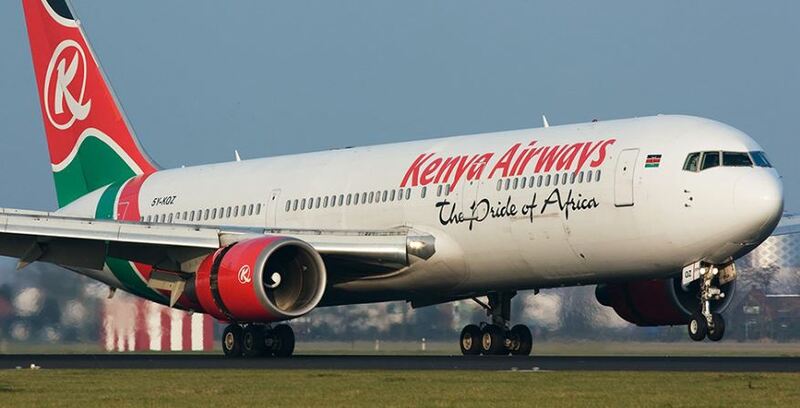 The decision to adjust our schedule is to cater for seasonality in line with global practices that allows airlines to reduce or add frequencies based on low or high seasons,” said KQ CEO Sebastian Mikosz. Business analysts argue that the cash strapped KQ might be forced to abandon the route, for lack of economical viability. Mid November, KQ announced that they had cancelled over 10 direct flights to US over low demand. It further announced that it would reduce the flights further. The management said that the decision was taken due to the effects of winter which reduces demand for flights to US. “The winter schedule for all our flights took effect from October 2018 and will run until March 30, 2019. We cancel flights that are not commercially viable, so this is not unique to this route,” said an official as quoted by Business Daily. This year, KQ reported a Ksh4 billion half-year losses. Pundits have been questioning the management on why they launched the flights during winter, in which people would avoid visiting the US in adverse weather conditions. Kahawa Tungu learns that as KQ was launching the flight, salaries of the airline employees were being delayed as the airliner is struggling to meet its financial obligations.